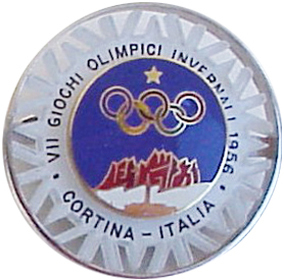 Il Comitato Organizzatore fece coniare per il pubblico un distintivo in due formati, che riproduceva semplicemente il simbolo dei Giochi. 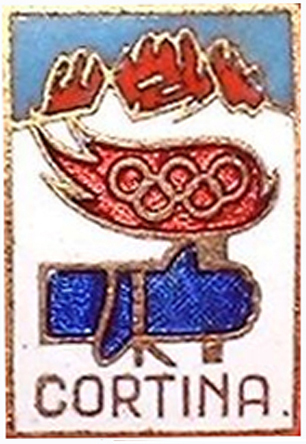 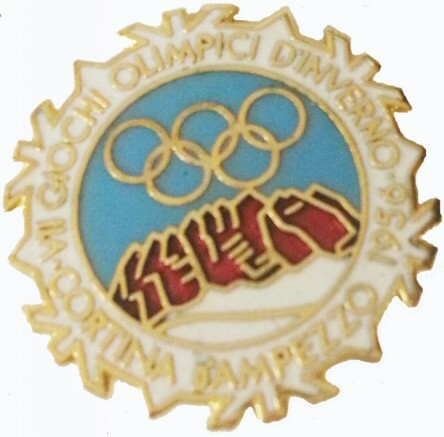 Two types of pins, simply bearing the symbol of the Games, were available to the public. 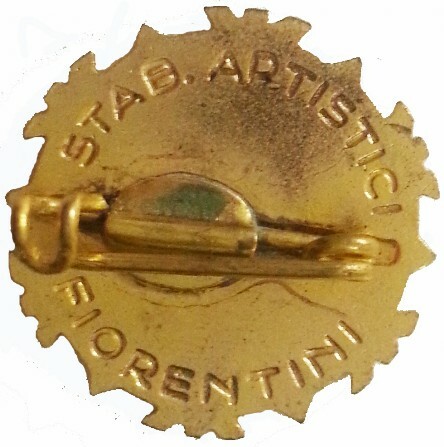 I distintivi, con il logo grande e piccolo e quello con il manifesto ufficiale, vennero realizzati dagli Stabilimenti Artistici Fiorentini e tutelati dal CONI come modello depositato (sigla impressa nel retro dei distintivi) e distribuiti nei negozi di souvenir di Cortina. 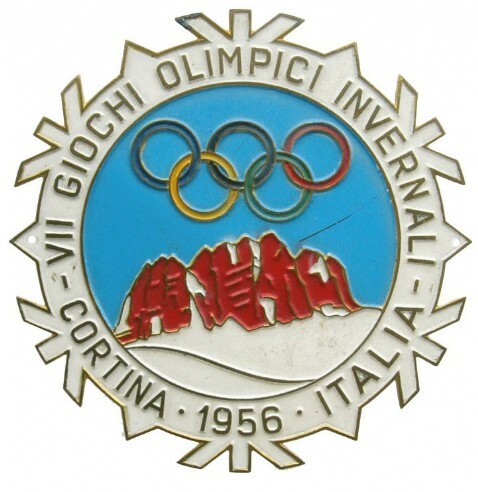 Inoltre questi distintivi si distinguevano tra lor per il tipo di attacco: spilla, spillone e piedino per asola della giacca. 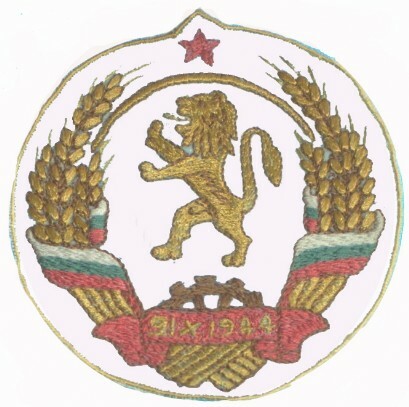 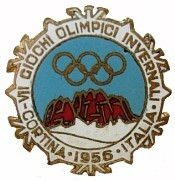 The pins chosen by the Organizing Committee (with a big and a small logoand the one with the official poster) for distribution to the souvenir shops in Cortina, were prepared by S.A.F. 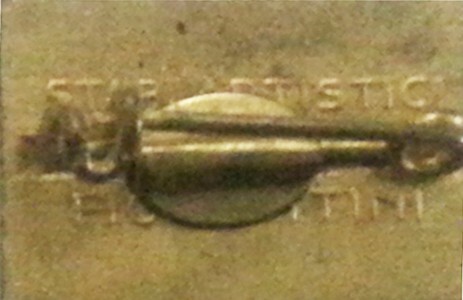 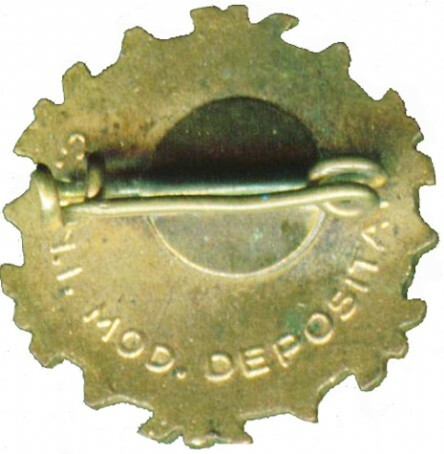 and protected by CONI as (Modèle Deposé), a mark to be found on the reverse side of badges, in different positions. 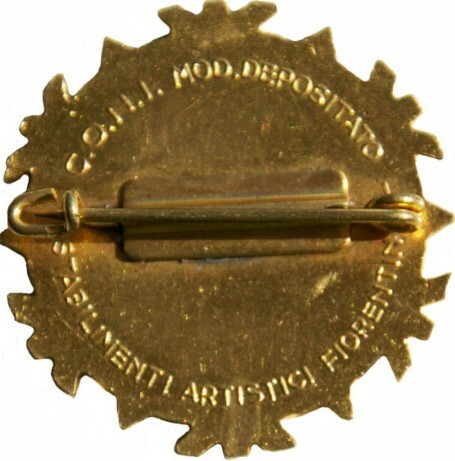 In addition, these badges were different one from the other according to the type of hook: brooch, big brooch and special brooch for button-holes. 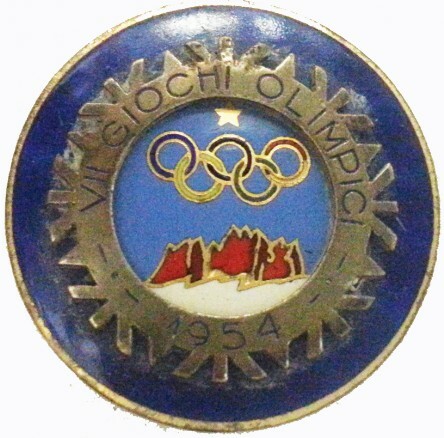 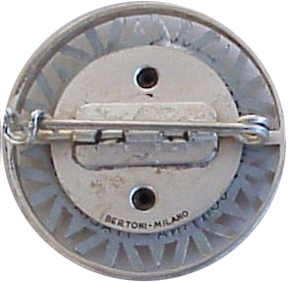 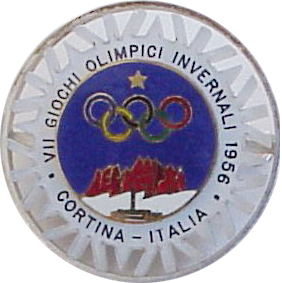 Maybe the most significant and most coveted badge of the Cortina Olympiad was the one prepared by the Ditta Bertoni di Milano (there were 2 versions) with the snowflake in fretworked plastic. 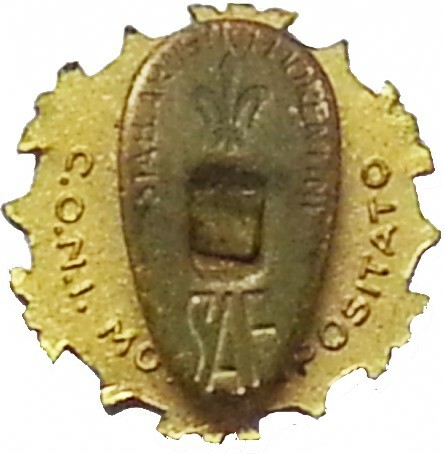 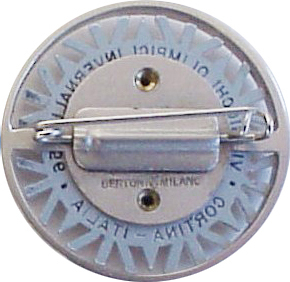 Other firms, without authorization, realized and put on sale pins.